From the producers of E.T. 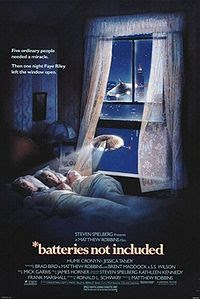 Steven Spielberg and Kathleen Kennedy, comes *batteries not included, a 1987 delightful family science fiction movie. Filled with dazzling special effects, this amusing fantasy of intergalactic warmth stars the acclaimed husband-wife team of Hume Cronyn (as Frank Riley) and Jessica Tandy (as Faye Riley) as two long-term tenants whose faith is rewarded in ways they never would have expected. Faye calls these visitors, the tiny spaceships as "Fix-Its" because they fix things in their soon-to-be torn down building. 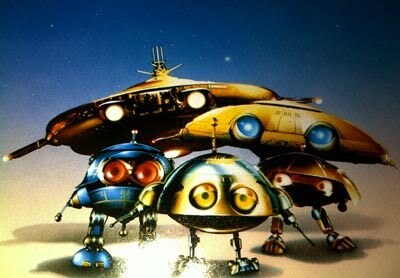 Frank calls them spaceships "from a very small planet... very small." The best thing about this movie is the warm, 'symbiotic' relationship between the spaceships and the human beings. Initially there's only a pair of spaceships, a male and a female. 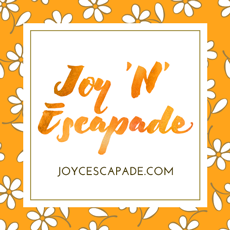 They 'feed' themselves with electric and metal pieces. Then, the female spaceship gives birth to three little fellas. I know this sounds weird but that's the main plot of this movie.